Figurines from Hagar Qim Temples. In the centre of the Maltese capital of Valletta, is the ‘Auberge de Provence’. Built in 1571 for the Knights of the Order of St John, this is one of the finest examples of baroque architecture in the city. Originally, the ‘auberge’ occupied the entire block and included stables and even a bakery. The idea was that in the even of a siege, the Knights would be self sufficient. The museum opened to the public in 1958. Currently the museum has permanent displays for the Neolithic, Bronze Age and the Phoenician period, with galleries for the Punic period and the Roman and Byzantine era in the pipeline. For anyone visiting the Neolithic and Bronze temples, this is the place to start. Not only does the museum provide an excellent introduction to this period of the island’s prehistory, the important artefacts from the various sites are here. 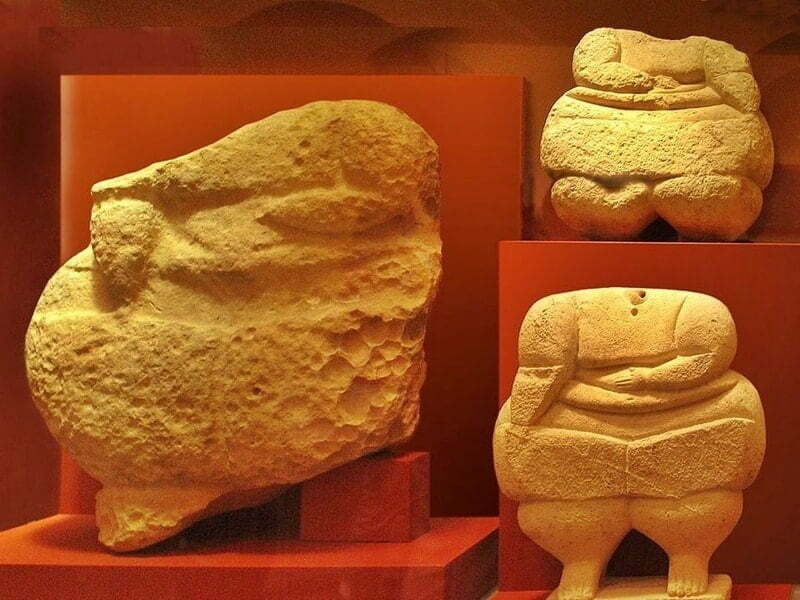 These include the iconic clay and stone figurines, such as the ‘fat-ladies’ and the Venus of Malta. Also on display in the museum from the megalithic temples is the decorated stone altar from Hagar Qim. Not to be missed in the Phoenician gallery is a great demonstration of the influence the Phoenicians had across across the Mediterranean. The gallery has a reconstruction of a Phoenician tomb. The original tomb near Rabat contained a bronze pendant of the Egyptian God Horus and Anubis. On the papyrus was a prayer for the dead, the dead person asking for divine help into the afterlife. Where is the National Museum of Archaeology?